A gleaming new landmark appeared in the sky above Beijing, making it easy to find the way to the heart of the City’s business centre. In October 2008. the new Park Hyatt Beijing Hotel opened in the Chinese capital. The luxury hotel opened its doors at the top of Beijing's highest skyscraper—the Beijing Yintai Centre on prestigious Chang'an Avenue, right opposite the Chinese World Trade Centre and the CCTV Tower. 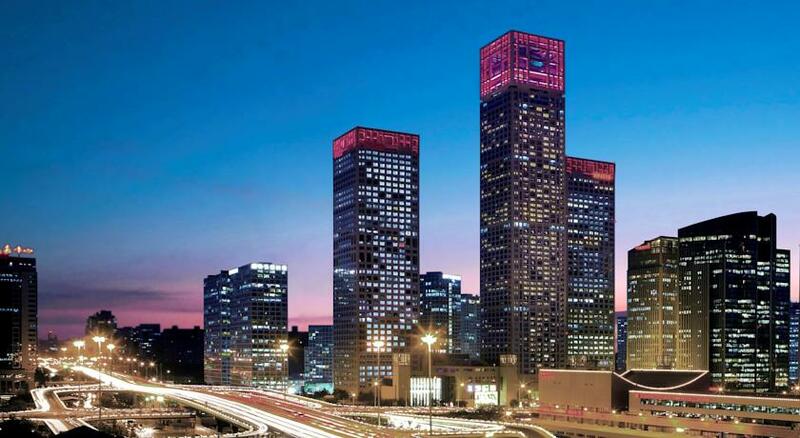 The Park Hyatt Beijing occupies the top floors of the nearly 250m-tall main tower of this massive triumvirate. Beneath it, on the first six floors, is the Park Life business centre and shopping mall. The two sice towers, each 186m high, will contain offices. The three-towered building, designed by the celebrated American company of legendary architect John Portman. has been conceived as a “city-within-a-city". an urban oasis n which the inhabitants will be able to live. work. shop, and relax without worrying about the daily stresses of rush-hour in the megalopolis. To make it easier to find, design firm Remedios Siembieoa. who count among past projects some of the world's most famous luxury hotels including the Grand Hyatt Tokyo, are hanging a Chinese palatial lantern from the building. In the dark it will act as a lighthouse, its rays cutting through the nighttime skyscape. The interiors of the hotel, meanwhile, are inspired by the classical Chinese architecture of Suzhou, although their Asian aesthetic has been blended into elegant contemporary designs. On arrival at the Park Hyatt Beijing, guests will be carried in fast lifts up to the lobby on the 63rd floor, where there will also be a lobby bar. Floor 65 will house The China Bar, a small, stylish drinking den with cocktails and live jazz. Finally, beneath a glass dome on the top (65th) floor, there will be The China Grill, which will quite take dining in Beijing to new heights. Besides the superb seafood, the restaurant's main attraction will be the 360-de- gree panoramic views of the Chinese capital. The Tian Spa. on the 59th and 60th floors, will consist of eight luxury spas. Among the treatments on offer will be traditional Chinese medicine, steam rooms, saunas, a 25-metre swimming pool with wave machine, and whirlpool baths in a bamboo grove. The hotel’s 237 rooms will cover 12 floors of the skyscraper from the 37th to the 49th. Rooms will range in size from 45 to 240 square metres. All rooms will have private bars with coffee-machines, walk-in closets, electric day and night blinds, in-room safes, flatscreen TVs. DVD players, and air humidifiers. All suites will be equipped with an extra TV in bathrooms, and the most exclusive—the Presidential and Chairman Suites—will also have kitchens where a personal chef will cook breakfast according to guests' requirements. 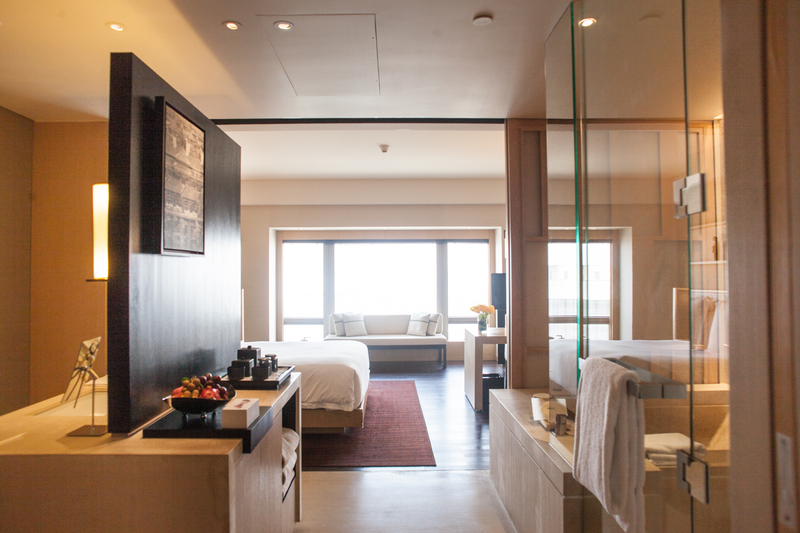 The Park Hyatt Beijing will be the first hotel in China under the Park Hyatt brand. Hyatt's most exclusive accommodation chain which serves discerning travellers throughout the world. It will provide the same impeccable standards of service as the Park Hyatt Tokyo. immortalised in the Oscar-winning film Lost in Translation, and the Park Hyatt Sydney on the shore of Sydney Harbour, which was named by Travel + Leisure magazine as one of the finest hotels in the world.